Two years ago I moved from London to Los Angeles and I’ve not regretted it. Admittedly I did have my reservations about the state of theatre there, borne out of having visited several times, but if you love travel, adventure, out-of-the blue opportunities (as well as smatterings of life terrors) then you could say it’s not an unwise move to swap working in a damp country to working in a sunny, hot climate, surrounded by palm trees. I suppose it’s dependent on your perspective about what makes for a full life, doesn’t it? Personally I’ve always sought a balance between work and the soul. And in London work was fantastic, but the soul was another thing entirely. In fact, the main reasons for shutting up shop in the UK were mostly personal. Despite the great times as artistic director of Second Skin Theatre at the White Rabbit in London, I believe it was time to face new adventures after almost 30 years in the capital. And I needed an artistic jolt too. The offer of work arose in the US and I’ve never looked back. From a UK point of view, LA really isn’t a theatre town. But it is growing and it’s growing all the time. One good sign is the success of the past Hollywood Fringe in June 2016 – it doubled its takings from the previous year and increased representation among female practitioners. In fact, for the first time at the fringe, female writers outnumbered the men. LA is packed with every conceivable artistic form at every possible level. It’s a staggering mix, ranging from international-level theatre and opera through to some of the best bands and musicians on the planet. Fringe theatre is taken care of beautifully in two major theatre districts, the Arts District in North Hollywood and the more centrally placed Theatre Row. LA is an epic sprawl for sure, but you’ll find theatres nestled together with varied fare ranging from the classics to new writing through to punk belly dancers performing Beckett. But, yes of course, this is a movie town, first and foremost. Actors are primarily there for film/TV, and fringe theatre falls way behind the pecking order and I’ve got to live with that. However, my quarter-Irish luck with finding talented artists hasn’t deserted me and I’ve found actors here who are every bit as passionate about theatre as I am. Aside from the very large, glitzy performing arts spaces more suited to dance and classical music, such as the 5,870-seat Greek Theatre or 739-seat Mark Taper Forum, there isn’t the sort of spectrum you’d expect in New York or London. 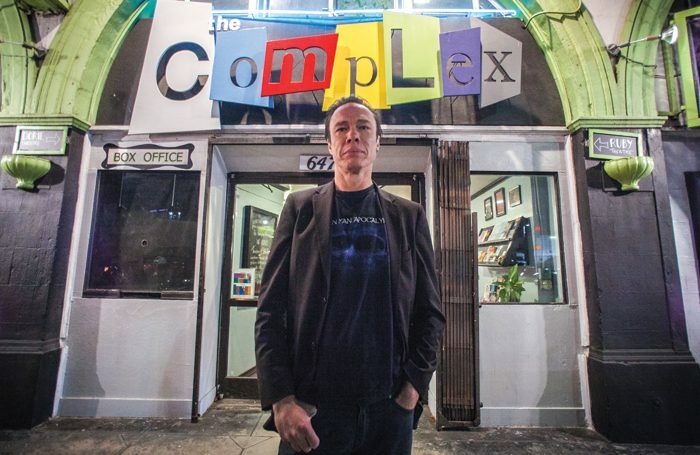 Where the real activity takes place is at spaces like the Odyssey Theatre Ensemble, a good example of the 50- and 99-seater type of theatres of which LA could do with more. 2. Alongside high-profile companies, such as Tim Robbins’ Actors’ Gang and the Actors Studio West (based on Lee Strasberg’s original in New York), homegrown small theatres/companies to look out for include Odyssey Theatre Ensemble (the city’s oldest), Complex Theatres Hollywood, 2Cents Theatre Group and Hudson Theatres. Note that California is among the bottom five of 50 states for government arts funding. 3. The Hollywood Fringe Festival runs every June in and around Hollywood Theatre Row. Founded in 2010 by Ben Hill, the festival is open access and community-derived. The San Diego International Fringe Festival runs from June to July, while a new fringe is the NoHo (North Hollywood) Fringe Festival, which runs October to November. 4. Unsurprisingly, LA has some of the largest and best-equipped large-scale venues in the country. Given their size, however, theatre programming tends to take a back seat to dance, opera and classical/popular music. Prominent are the Greek Theatre (5,870 seats), Hollywood Pantages (2,703 seats), Orpheum Theatre (2,203 seats), Ahmanson Theatre (2,000 seats), Mark Taper Forum (739 seats) and Geffen Playhouse (610 seats). 5. UK-style pantomime is a rapidly growing sector in California, the centre of which is Lythgoe Family Panto. Based in Los Angeles, the company is run by Kris and Betty Lythgoe – Brit Kris is the son of American Idol and So You Think You Can Dance producer Nigel Lythgoe. I’ve been working closely with the Complex Theatres in Hollywood. Second Skin Theatre made its debut there at the 2016 Fringe with Knuckleball, written by Second Skin co-founder William Whitehurst. It was in large part down to the Complex’s support – especially manager Monica Martin – that the show was so successful, or that we even participated in the first place. I’ve also started writing and found the time to co-anchor the Friday evening news at KPFK, a progressive radio news station. I teach weekly classes near Hollywood, the Creators Masterclass, which supports actors lacking in certain elements of training or seeking to test the theatrical waters. It’s a wonderful thing to see how actors more used to a film set thrive in a theatrical environment, but also great for me to observe so many varied approaches and be faced by so much hunger from my students. My own approach is a mix of traditional rep, mad Europeans and electro-industrial band Velvet Acid Christ. It’s not typically British and so there’ll be a few actors here in for a shock if they ever work in the UK. I think I’d have a possible advantage were I directing Shakespeare, but as my fires are stoked by new writing, and especially new American writers, it could be said that I am actually at a slight disadvantage in certain cases and plays. My most recent show dealt with racism and cultural identity in a small town in Arizona and I burned the midnight oil in research, but still found myself learning so much from the cast about background and details that had eluded me as a Londoner. A particularly exciting source of growth at the moment comes from the political upheaval in the US that has revitalised and energised the creative community here. The theatres and companies that I work with are already looking at their programming to reflect what’s happened, so this will be an interesting place to be during 2017. It’s very similar to the extraordinary flourishing of the arts and alternative arts that happened in the UK as a reaction to Mrs Thatcher. Other signs of growth are because there are so many venues opening up, despite the 99-Seat Agreement issue. I’m not going to go down the route of running my own venue, but if I did it’s such an easy thing to find a space here due to LA’s rent control, particularly in the older parts of the city. And the more theatre you have, the higher the bar is raised. • Have a plan and do your research. Visit LA first, if you haven’t already. • Get a UK visa/immigration lawyer who comes highly recommended. • Hire an LA agent (but note the Don’ts below). • Have insurance to the max. • Remember your driving licence (but Uber’s changing everything – average ride is about $6). • Expect things to happen overnight. • Assume you’ll land every British role you’re up for – American actors do accents as well. • Jump in with the first agent who comes along – check their ratings and reputation. • Come without savings – prepare for additional expenses you can’t foresee. Two of the companies of which I’m most fond are the 2Cents Theatre Group and the Odyssey. 2Cents is based at the Hudson Theatres from time to time and also does bigger shows at larger venues. It runs the annual Ink Fest for female playwrights – it’s a major player. The Odyssey is a reasonably small theatre but carries a punch doing high-end quality stuff – it just staged Eugene O’Neill’s The Hairy Ape directed by Steven Berkoff. I had the chance to work in New York a few years ago and, much as I loved it, it was just another London to me. You can get lost in New York and Chicago, but in LA things are more direct and accessible. I’ve recently helped an American theatre friend relocate from New York to LA. She was telling me how the audition processes in New York can be terrifying, with queues around the block when it isn’t even an open call. But here there are fewer actors chasing after theatre jobs, so you’re going to get something pretty quickly. But don’t take the first thing that comes along. Really value yourself. Because if you’ve made this major upheaval then you’re bound to have something that’ll stand out here. Which brings me to visas. They are bloody complicated. You have to find a sponsor and an offer of a job. But there are lots of types of visas and that’s what you need to sort out first. Be warned, from personal experience it can take a long time to get it right and satisfy the requirements. LA is perfect for me, but it’s not right for everyone. Although I can imagine going back to the UK – probably Scotland – I feel rooted here now. I’m already planning for a green card. The thing about LA is that when you arrive here you set your own intention and if you follow that intention then it all starts clicking into place. That’s pretty much how it is with every expat I know here, and that makes perfect sense when viewed from inside the huge creative melting pot that is LA.